This delightful hand cream combines the benefits of Rosehip oil, with nourishing Shea Butter, Sacha Inchi and Babassu oil. Moisturises and protects against external influences. The Grapefruit oil gives a naturally fresh, uplifting scent. Rio Rosa Mosqueta products are formulated with Rosehip oil and specially selected plant extracts to help fight signs of ageing and keep skin looking healthy and balanced. Aqua (Water), Glycerin, Butyrosermum Parkii (Shea) Butter*, Cetearyl Alcohol, Ethylhexyl Stearate, Glyceryl Stearate, Rosa Rubiginosa (Rosa Mosqueta) Seed Oil*, Stearic Acid, Sodium Stearoyl Glutamate, Allantoin, Orbignya Oleifera (Babassu) Seed Oil, Macadamia Ternifolia (Macadamia) Seed Oil, Plukenetia Volubilis (Sacha Inchi) Seed Oil*, Tocopherol, Helianthus Annuus (Sunflower) Seed Oil, Caprylyl Glycol, P-Anisic Acid, Citris Grandis (Grapefruit) Peel Oil, Citric Acid, Terasodium Glutamate Diacetate, Limonene**. Massage into hands as often as needed. Store in a cool, dry place out of direct heat and sunlight. 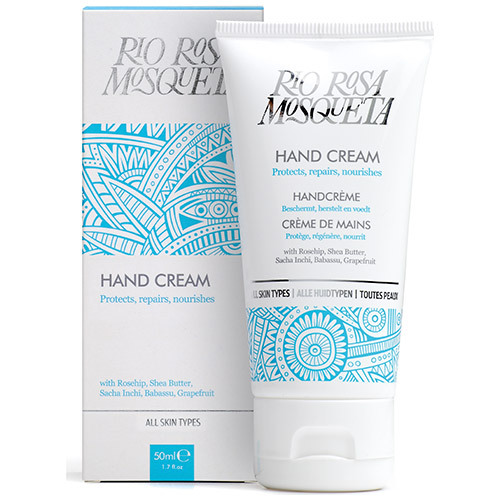 Below are reviews of Rio Rosa Mosqueta Hand Cream - 50ml by bodykind customers. If you have tried this product we'd love to hear what you think so please leave a review. 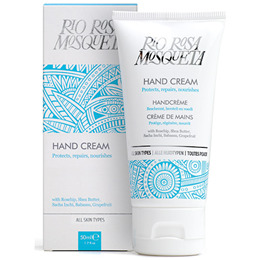 This delightful hand cream combines the benefits of Rosehip oil, with nourishing Shea Butter, Sacha Inchi and Babassu oil. Moisturises and protects against external influences. The Grapefruit oil gives a naturally, fresh uplifting scent.